Trading forex for a living is definitely not something that anyone can do. Can you make a living off forex markets? It is hard to say – perhaps you can, perhaps not. Still, it is better to find out how much can you make trading forex and where could you rank among the more successful forex traders before you decide this is something you want to do for a living. In order to trade forex for a living, first you need to learn how to earn money from forex. Trading forex for a living is not something that people should get into lightly. Most traders blow through their first account without achieving anything. The same goes for the second. And the third! Then they get wiser and quit – or go broke, and then finally quit. Quitters have no business trading forex for a living. The best forex traders often suffer losses as well, but they are patient, persistent and most importantly, they learn from their mistakes. This is what you need to do as well, in order to make it in this business. So, can you make money with forex? Not right away, and this is something we really need to stress out from the very beginning. A lot of brokers sugarcoat the reality and make it seem like you can make millions overnight, becoming the next Warren Buffet or George Soros. And while nobody in their right mind would believe such a thing, people still wonder if this approach could make their lives better. Because most people believe it is possible for them to make a decent living without working too hard, and this is a common misconception. We all know that “it is better to live a hundred years like a millionaire than a single week in poverty”, to paraphrase and old catchphrase, but the way this is presented to you leaves a lot to be desired. Some people have a knack for these things; others are simply good enough. On the other hand, most end up losing a lot more than they gain. And yet, trading forex for a living is no mere pipe dream for anyone, even you. Forex market is huge, with a capital “H”. There is more money in it that it easily trumps any other financial market in the world. Wall Street? Think again! Commodities – that’s chicken feed. Forex is where the real money is at, and there is more than enough to go around. The only problem is the way it is distributed. Not to go Marxist on you or anything, but forex started out as a playground for the rich – a place where people like J. P. Morgan and Rockefeller would go to exchange currencies. If a bank, or a government or some other major player needed to exchange cash at bargain rates, this is where they would do it. This still happens today. The only difference is that now, even ordinary people have access to this market and could get in on the game. This is something that was impossible for us just a few decades ago. Trading forex for a living is possible. It absolutely can be done. You still don’t believe it? Let’s look at some people who would beg to differ. Seeing as the internet is full of sob stories of people who couldn’t cut it trading forex for a living, it is only fair to present you with a few examples as proof to the contrary. These guys have attained something of a celebrity status over the year. 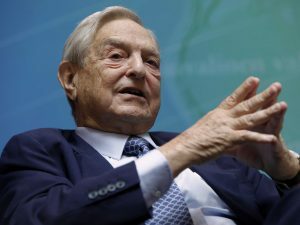 By far the most famous of them all is George Soros, who started his career in the ’50s and established his own fund in the 1970. Regardless of how you might feel about his political and social ideas, his influence and business savvy cannot be overstated. He started as an ordinary employee in a financial firm and 15 years later he had amassed enough means to start a company of his own. Of course, back in the day not everyone could make it to the forex markets, but this is exactly what he did. 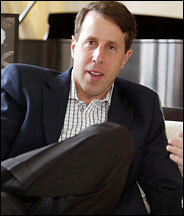 He became famous in 1992 by accomplishing something that was unthinkable at the time. He short sold $10 billion in GBP and effectively brought the Bank of England to its knees. Oh, and he also made $1 billion in pure profit while doing it. A man who came from nothing single-handedly performed a coup de grace on the British pound; it had to be withdrawn for failing to sustain the trading band, as nobody was willing to touch it with a ten-foot pole. They still call it the Black Wednesday. Not bad for an ordinary guy. Then again, not all traders were as successful. Statistically, even the best forex traders in the world lose every now and then, but then their track record that they built up trading forex for a living is sullied irreparably. Just look at Bill Lipschutz. When he was a student at Cornell in the ’70s, he turned $12,000 into more than 20 times that amount. And then he lost all $250,000 on a single, catastrophic call. While this alone might break most forex traders, he recovered and in the ’80s he would make more than $300 million a year for the company he worked for. That was a lot of money in the ’80s. Successful forex traders can amass incredible power and influence. They can break entire countries, if they feel like it. Andrew Krieger almost took New Zealand out of the picture back in ’87, the day the Kiwis still remember as the ‘Black Monday’. His company entrusted him with a $700 million capital limit, which already speaks volumes on his reputation, as this is 16 times the usual limit for a trader. By combining his capital with a 400:1 leverage, he had more money than New Zealand’s entire supply. What he did is he short sold the New Zealand dollar into a feeding frenzy, making $300 million in the process. His cut was 1% of the trade – “measly” $3 million. But then again, he wasn’t trading with his own money to begin with. What all of these guys have in common is the unshakable willpower and confidence to stand up and make something of themselves. There is a lesson to be learned here. Soros’ story teaches us what a single determined individual can do, given the right circumstances. 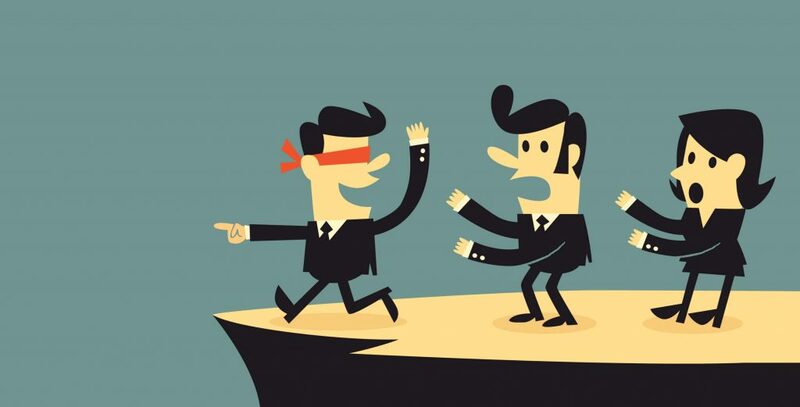 Lipschultz had to learn the value of risk management the hard way, and Krieger almost destroyed a country for a breadcrumb from his company’s table. If these guys could use all this power to get rich and almost destroy entire economies, are you sure you can’t trade forex for a living? For a no BS assessment of what it would it take for you to trade forex for a living, let us look at all investments you would need to make. We will ignore the quest for the right broker, education and whatnot, focusing solely on the hard facts. So, assuming you got everything else covered, is your success guaranteed? The short answer is – hell, no! There is still a lot that need to be said and done before you can even consider trading forex for a living. There are stories about traders who are making a killing with as little as $100 and without even breaking a sweat. I am not even going to dignify them with a comment. In order for your hard work to pay off, first you need to work hard in the first place! Even then, making a consistent profit that will sustain both your running costs and your costs of living. Think about your family as well. But how much money is enough to secure these costs? Well, assuming you are doing everything right, or at least reasonably well, it would take some serious capital to get you started. Some people like to brag how they make $1,200 a week on a capital of only $3,000. While it is possible to earn this kind of money in a single week, it would have to be a really, really good week for you. There is no way someone can pull this off on a regular basis. 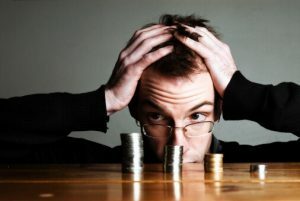 Statistically, you would need $240,000 in capital in order to make $1,200 a week on a solid basis. If these guys were trading with $240,000 capital, maybe this would have been a realistic assessment. In our humble opinion, people like to exaggerate and brag about a lot of things. Trading forex for a living on anything less than $5,000 in capital? Not in a Western country. However, if you can make a decent living with $2-3,000 a month… Why not? 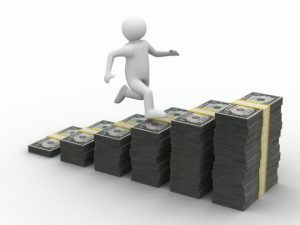 If you do not have that kind of money and no hope of raising it anytime soon, consider this – most people start off small and end up having to try several times before the pieces fall into place and they start making a steady income. The point is, if they are persistent enough, most of them do end up making money off forex, although anything over 1% of their investment in a single day is not a common occurrence. Even the best of the best usually end up making anything between 50 and 200% a year, depending on their year. Of course, this is assuming there are no major losing streaks and they do everything right. If you apply all that knowledge and trading strategies, you will still lose every now and then. But, on the whole, any month that you make 25-30% of your total capital is a damn good month. If you trade small, you earn small, and you end up losing small. If you plan to trade forex for a living, you are going to need some serious investments. Our advice would be to keep on to your day job at least for a while, until you figure out how good you are at this whole forex thing. Try trading small until you build up confidence, experience and some capital, while you’re at it. Most importantly, you need the right kind of mentality. Trading forex for a living takes a lot of meticulous preparation, if you wish to be successful. The worst thing you can do is start a career in forex unprepared. Our three examples can serve as a way to demonstrate some key points that determine the right kind of mentality. First and foremost, you need to learn everything there is to know about forex and the currencies you plan to trade, including the economies of their respective countries. After all, how can you make predictions on U.S. dollar if you know nothing about their economy? How can you trade New Zealand dollars and ignore their agricultural sector? The more time you spend learning about these things, the less time you’ll spend bashing your head against a nearest solid object for being so stupid with your investments. Here are some suggestions on where to start. Do you think Soros has magically acquired his forex skills? That he is talented beyond imagination? No, he is just meticulous, unscrupulous and patient. It took him 15 years to get the resources and the know-how to open his own firm, and then another 20 years or so to make his bones, if you will. During this time, there were ups and downs, but he never gave up. In order to start trading forex for a living, you are going to need some strong determination as well as a clear vision of what you are trying to accomplish. Next, you need to prepare yourself for some losses. I’ve said it once, and I’ll say it again: you will lose money trading forex for a living from time to time, this is inevitable, and there is no way around it. In fact, in forex you can be right and still end up losing money in the end, but this is a common mistake and we’ll deal with it in a little while. What is important is to learn how to manage risks and not be discouraged. Lipschutz lost his entire fund but still turned out as one of the best forex traders in history. The golden rule is to keep the rewards greater than risks on every trade you make. Risk/reward ratio must be at least 1:1 or the trade is pointless. No point to target 40 pips of profit if the risk is 50 pips or more. If possible, try to keep it to 4:1 or close enough. Also, limit your exposure as much as possible. Risking more than 1% of your entire capital is considered hazardous. Anything over 10% and you’re asking for trouble. 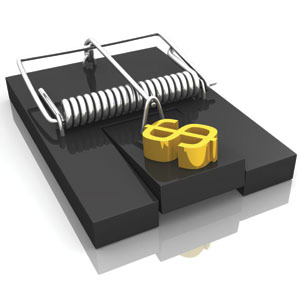 Some traders seek to take a shortcut and choose brokers that allow them to copy trades from more successful traders. While this is technically an option that you can choose, and it may seem appealing to a trader with little to no confidence whatsoever, there are shortcomings to this “strategy” as well. For one, it’s not a strategy at all. You effectively give up control over your finances to a complete stranger and hope he does everything right. Can you sleep tight knowing all this? Suppose he doesn’t. Even the best traders end up losing money. He has a backup plan. What is yours? Oh, right, you don’t have one. Big mistake! If you are going to rely on other traders to make the calls on your behalf, you need to take a few things into account. First of all, this does not qualify as trading forex for a living. This is more like “making some spare change on the side” kind of a thing. You need to set your parameters right and learn to trade as soon as possible. What this trader does is essentially getting some free leverage on the side. Trading with money he doesn’t have to pay back if he loses. And he is not responsible for any losses he incurs on your behalf. You are! You might as well make your own fortune in life. When trading forex for a living, all sorts of things can and will go wrong. Sometimes the market just moves against you and it can’t be helped. Oftentimes, however, there was something you could’ve done, but you didn’t. Here are some of the more common mistakes that forex traders make. Thanks to its awesome leverage, it doesn’t take a lot of money to make big trades on forex markets. However, while having a larger capital does not necessarily give you an advantage in real life, it does allow you a greater room for error. It’s not the same when you trade 300k lots on a $100,000 account and on a $10,000 account. The latter situation is far more unforgiving. The way to deal with this is to either keep your trades proportional to your account, or to be careful with your leverage. Another common misconception! Well, you won’t. You can’t, actually. All you can do in a hurry is bankrupt yourself. The sad truth is that the amount of money you can make trading forex for a living does not reside solely on your trading strategies. It is also about how much money you are willing – and able – to risk. While it is not enough to get you rich, like a $1 million in a year on a $5000 account or anything like that, it is quite possible to make enough money for a comfortable life, especially in a country with low living expenses. If you take your time mastering strategies and do not rush in, sustainable income is no pipe dream by any account. Whether they have miscalculated spreads, leverage or omitted some important fee, traders do end up losing money even if their prediction was correct. But most of these expenses are known in advance, so the bone of contempt is actually the leverage. What is meant to multiply your gains can end up drowning them entirely, if not properly used. Keep in mind that the trade needs to be profitable enough to cover all the expenses, including leverage, interest, spreads etc. If it is not profitable enough, you might end up losing money instead. Always consider the worst case scenario, and factor in as many things as you can. The best course of action is to go easy on the leverage. The 10:1 effective leverage should be more than enough so don’t get greedy. Emotions can only make you lose out here. Let’s keep this short and sweet. Or at least just short! 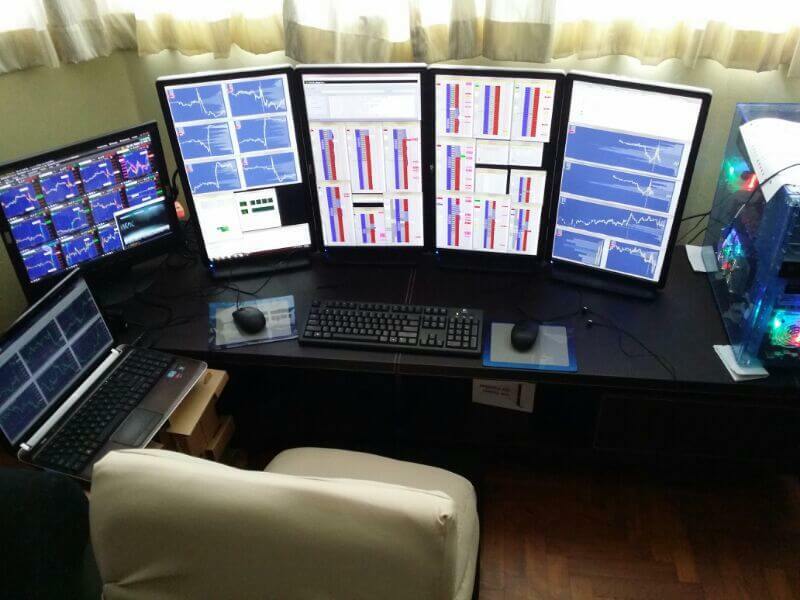 For one, trading forex for a living is possible, and don’t let anyone tell you otherwise. It is not quick and may not get you rich – at least not right away – but it will provide with sufficient trading opportunities to ensure a sustainable income after you get settled in. Ideally, traders make around 20% of their capital a month, so make sure your capital is sufficient and your predictions are right on the money. Avoid the common pitfalls like too much leverage, emotional trading and overreliance on other traders to do your trades for you. With the right mentality, solid role models, some cash and a lot of luck, trading forex for a living is definitively an option for you.